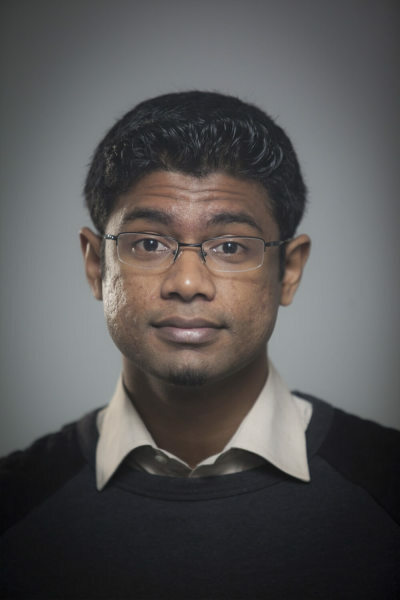 Vijay Jayaraj (M.S., Environmental Science) is the Research Associate for Developing Countries for the Cornwall Alliance for the Stewardship of Creation. There is a massive difference between poverty levels in India and in the developed West. Academy award winning movies like Slumdog Millionaire portrayed a glimpse of the poverty in India's most famous cities. But unless you experience it for yourself, this level of misery is hard to grasp. Suffice it to say India is nowhere near achieving energy independence and eradicating poverty, or even reaching the standard of living of the most poor in the West. India's failure to address poverty can be conveniently attributed to its population challenge, corruption (both in National and State governments), and its domestic policies. But the country can no longer deny the growing influence of the climate circus, which is beginning to impact its energy policy and eventually its economic growth. While it may appear that the government is not compromising on its economic development, the climate change rhetoric is heavily disrupting utilization of fossil fuels (the same source of fuels that once helped the West to alleviate poverty). Climate change alarmism, led by the Gore-Obama melodrama over the past 15 years, has infiltrated global governments and academic institutions. They have harangued governments and manipulated science to propel their alarmist agenda. At Paris last year, India promised a 30-35 percent reduction in the carbon intensity of its economy by 2030 from 2005 levels. This promised transition (which is very unlikely) will impede its strategic energy production plans. India cannot afford to dance to the tunes of a science-allergic climate alarmist movement which has its foot on the throat of the world's governing bodies. Fossil fuels are indispensable in meeting India's future energy needs. Renewables can neither deliver the required output nor be implemented in large enough scale to reach required targets. Moreover, there is no scientific evidence to suggest that fossil fuel generated carbon dioxide emissions have led, or will lead, to a dangerous increase in the global temperature levels. Real world satellite observations show us there has been no significant warming in the past 18 years. India simply cannot buy into theories that are based on pseudo-science backed by computer models that consistently fail to reflect actual real world temperatures. The question is not whether India will tap into its most affordable, and abundant, domestic fossil resource — thermal coal. It's already being used — nearly 70 percent of India's electricity comes from coal-fired plants. India will inevitably be a pro-fossil fuel country. In fact, it has no other option. The real question is, "at what cost, and at what pace?" With every passing hour, the country risks the lives of millions with policies that are dedicated to implementing less efficient, inadequate methods of power generation that are clearly failing in other parts of the world. This year, more than half of India's provincial districts suffered from severe droughts, causing a dramatic increase in farmer suicide rates. Fossil fuels' carbon-dioxide emissions have no significant contribution towards the severe drought that is currently crippling the country. On the contrary, increased energy productivity would lead to economic prosperity, thereby ensuring the survival of those who are currently at risk — not least by enabling us to afford the water storage and transport infrastructure to mitigate the effects of drought. Last year, a first-of-its-kind socio-economic survey revealed that poverty is the way of life for 70 percent of India's 1.25 billion population living in rural areas. 280 million Indians don't have access to power, and the country has been ranked 90th in a list of 126 countries compiled by World Economic Forum on their ability to deliver energy to their citizens. India does not have the luxury to delay or reduce the pace of its economic progress. Instead of losing precious time on demonized fairytales, the country must address its energy deficiency. Every minute is valuable in its fight against poverty. The country must immunize itself from the influence of foreign elements, like American climate fear mongers who ignore the negative impacts of unsound climate policies on the poor and marginalized — people they never see, and about whom they don't care. Vijay Jayaraj (M.S., Environmental Science, University of East Anglia, England), Research Associate for Developing Countries for the Cornwall Alliance for the Stewardship of Creation, lives in Udumalpet, India. Eliminating Fossil Fuels to Protect Unborn Babies: An Evangelical Case or Pro-Life Deceit?